Property Rents and Value are Rising. Poverty over London? » Housing Property Rents and Value are Rising. Poverty over London? Housing Property Rents and Value are Rising. Poverty over London? Realty prices and rent has been rising and according to some recent studies, a huge percentage of all London renters could drop under the living standard end head to poverty. For what archives have to show us, on the record the United Kingdom overall rental property inventory has been experiencing fast and dramatic changes within housing accommodation sector. Prices have been constantly and as a matter of fact still do rise throughout the whole real estate sector. Some say house values within London have been jumping literally overnight, which leads many landlords and property owners to sell their real estate belongings and retire somewhere within the capital suburbs and surroundings. According to social police charity in the next 15 to 25 years the number of tenants living bellow the poverty line will most likely twice more than those of home owners. At the moment about 12 million people are renters in London. Statistics say, that the increase of realty prices, along with the lack of new buildings and the bare change of living standards will sum up to 6 million tenants bellow the poverty line. If we classify this as a data resource, the statements is – 50% of all private housing renters will live as tenants bellow the line of poverty. If we consider the temp properties value has been going within the hot spot of London along with some of the strong public reactions like The March For Homes plus predictions that realty prices could rise up to 90% and the fact that it will all result in more than half of the private tenants threatened by potential misery – then we are clearly headed for a disaster. 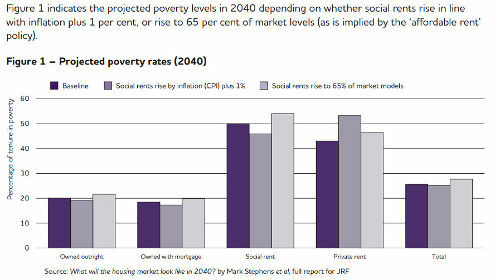 According to the government, by 2040 social housing should be reduced to about 2.5 million. No new homes have been built neither by the last or the current government and trends show that such act of assistance will only decrease, which can only end up in more renters in need of social housing. Some say that housing benefits could grow to 120% / 130%, which will add up to £20bn. The rise of the capital population requires new homes and inventory to be build in the right areas. Since most of the hotspots are slowly falling in the hands of wealthier home owners, the working class has been pushed out of the hot spot centre of the city. These trends gave birth to a number of events like the March For Homes. Sadly, but the records shows that assets, capital, riches, financial resources and funds overrule the needs of the majority of London tenants. If an itemised list of goods and possessions does not include accommodation and a secure home means that official should address and take under serious consideration a prediction that half of all property renters are about to go bellow the line of poverty in the next 10 to 20 years. According to these data readings, the forecast of social housing shortage and the low paste of new buildings and accommodation constructed, one out of every five housing and property inventory tenants will rent residential or privately owned home. This means the total number will raise with about 3.5 million. If London does not increase the overall property inventory available for all in need of rent, the United Kingdom capital will continue down the spiral, which will ultimately lead to an economics crisis, which will neither server landlords who wish to rent or sale, neither tenants, neither the state. It will result in a critical rise or fall in third party services of property inventory companies. « Professional Inventory in a Nutshell?